Part of Smoke Inn’s longstanding Microblend Series—which commissions custom, limited edition blends from top manufacturers—the Pope of Greenwich Village is crafted by Drew Estate exclusively for the Florida-based retailer. The single-vitola (6 x 40) cigar, named for the 1984 black comedy film of the same title, sports a Mexican San Andrés wrapper, Connecticut stalk-cut Habano binder, and Brazilian Mata Fina and Nicaraguan fillers. Fans of Undercrown will find familiar flavors, along with a hearty dose of red pepper, espresso, pecan, and dry oak. Construction is exquisite, and the panatela size is as enjoyable as it is refreshing. 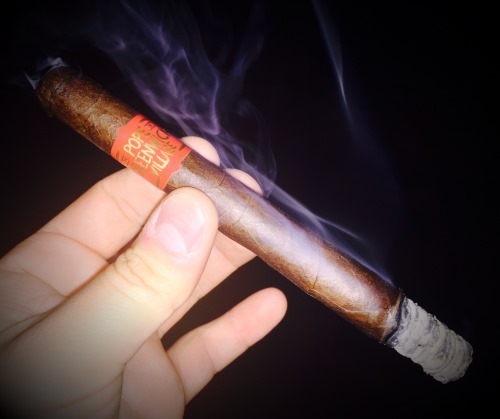 You can get a ten-pack for $85 or a five-pack for $42.50; I suggest you do so, especiallyif you’re appreciative of the Drew Estate approach to blending and prefer thinner-format smokes. I thought these would sell out in a week…very surprised they are still available.